FOX LAKE, Ill. -- A man has been charged with stabbing another camper in the leg early Thursday at a campground in north suburban Fox Lake. Tony R. Ozanick, 27, faces felony counts of aggravated battery with a deadly weapon and aggravated battery causing great bodily harm; and misdemeanor counts of criminal trespass to property and disorderly conduct, according to the Lake County sheriff's office. Ozanick and the victim were at the Chain O'Lakes State Park Campgrounds at 39947 N. State Park Rd. in unincorporated Fox Lake separately, but met each other on Wednesday, according to the sheriff's office. Ozanick joined the victim near his campsite to socialize Wednesday evening, but as the evening progressed, the victim asked him to leave. After Ozanick left, the victim went to sleep in his tent, according to the sheriff's office. A short time later, the victim awoke to find Ozanick inside his tent. An argument began and turned physical, and Ozanick pulled out a knife and stabbed the victim in the leg. The victim was taken to Centegra Northern Illinois Medical Center in McHenry with non-life-threatening injuries, according to the sheriff's office. 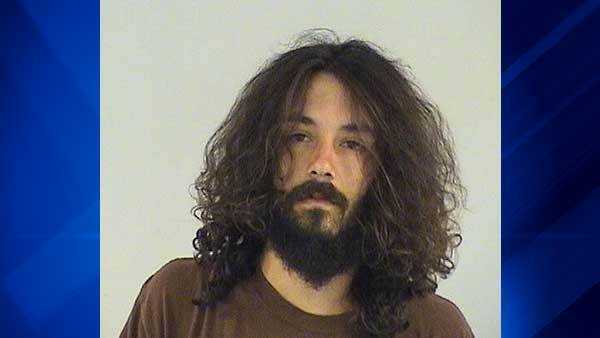 Ozanick, of Wind Lake, Wisconsin, was ordered held at the Lake County Jail on a $20,000 bond. He is next scheduled to appear in court July 18.